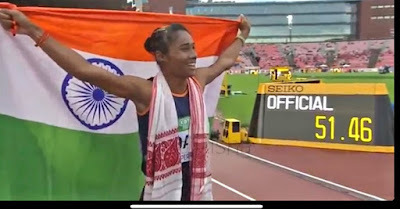 18-year-old sprinter, #HimaDas, just earned India's first-ever track gold at the #IAAF World U-20 Athletics Championships and #Bollywoodcelebrities cant stop gushing over the victory. "Awesome.. that final burst. #champion #HimaDas #Gold #400meters #U20" he added. Golmaal actor Arshad Warsi wrote, "Hima Das has killed it & how in the U-20 400 mts... salute.... salute.. salute"
Shah Rukh Khan expressed his pride and wrote, "Woke up and felt a genuine wave of Pride Love & inspiration. What an amazing athlete you are...#HimaDas Kya Baat hai!" Siddharth's heart went out to Hima as he felt emotional at the win's news, "Watch #HimaDas run. Watch it again and again they way you would watch a music video or movie scene! Made me cry, shout, cheer and jump around. Wow! What a performance! Let her never lose her momentum. Ever! #India"
Rahul Bose simply called it historic and said hopes there will be more wins, "It is, simply put, historic. #HimaDas has broken the ‘track ceiling’. Hopefully others will flood through and make it a highway." Filmmaker Madhur Bhandarkar congratulated the young athlete and wrote, "Incredible achievement! Congratulations #HimaDas for winning first every Gold medal for India in a track event. The nation stands proud "
Hima Das, an Indian sprinter is the first Indian track athlete to win a medal at any global event. 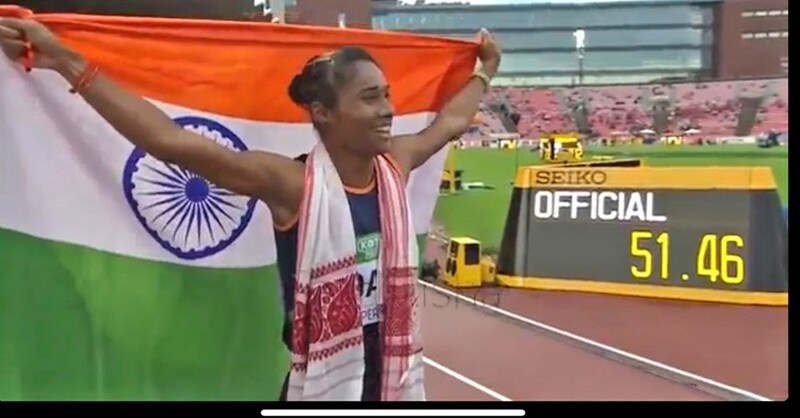 Hima Das won gold medal in women's 400m at World U-20 Championships 2018 at Tampere, Finland, Clocking a time of 51.46 seconds.